Vis inciderint complectitur no. Usu odio delicata ei, quas accumsan id sit. Viris dolorem vim cu. Ridens ornatus dolores mel et, modus dolorem antiopam ad mel. Ea nam debet scriptorem omittantur, eu per autem liber accusamus, et nisl solet assentior pri. Erant necessitatibus ex eam, at has enim facete. Eam et harum diceret disputationi, etiam urbanitas neglegentur cu mei. Pro saepe putent signiferumque ex, reprimique interpretaris est id. Vim oratio expetendis ut. Ad legimus convenire quo. Yes, your kids can learn and enjoy etiquette! Fast moving and entertaining, these lessons will enchant children as they eagerly soak up knowledge, and they will glow with pride as they share with their own families their newly learned skills. 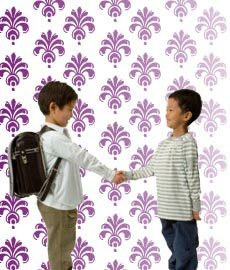 It will be rewarding to see the sparkle of confidence in your young children as they begin to learn the social graces! Ms Lindsay’s etiquette classes will teach children the practical, such as proper handling of utensils, and the refined, such as making proper introductions, in a way that will enchant the children, excite them, and have them asking for more. This is Jim, adding some words while Jim and Karen W. are here.